The extensive park and garden of Schloss Mirabell Palace was originally designed by Prince Archbishop Wolf-Dietrich von Raithenau - for a rather profance purpose: The priest needed a leisure palace for his mistress Salome Alt. The parks around the palace were extended by many of his successors, including Archbishop Franz Anton Harrach. In 1715, Harrach had a dwarf garden built, a play on the Baroque obsession with imperfection, de-natured creatures and other morbid motives. 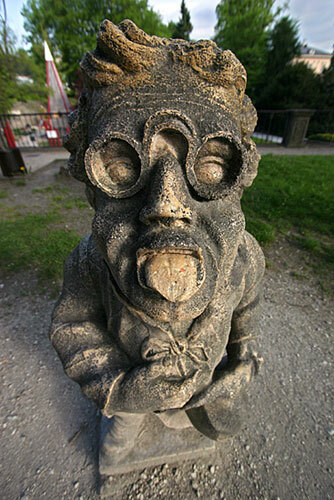 The "Zwergerlgarten" or "dwarf garden" was dissolved in the early 19th century, but later re-vived by the city of Salzburg. Today, it is still incomplete, but highly popular nonetheless.